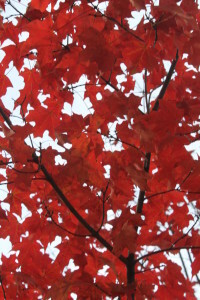 The leaves have begun to turn to brilliant shades of red and orange. Each day – a few more start their gentle decent from high atop branches down to the ground. For gardeners –it signals that its time to get those compost piles and bins filled up with huge amounts of leaves – and turn them into valuable, plant loving compost! For us – the falling leaves and resulting compost we make with them are a great way to obtain huge amounts of “black gold” – the affectionate name many gardeners give to compost for it’s value to a successful garden. Compost makes all the difference in helping to grow healthy plants – we mix in generous amounts to the soil when we plant our vegetables, as well as anytime we plant trees, shrubs or perennials in the landscape. 1. The Gathering Process – How To Get The Right Kind Of Leaves – And A Lot Of Them! Oak leaves on the other hand should be composted in moderation. The leaves of Oak trees tend to be more acidic – too many in the compost pile can result in compost that is less than ideal for most vegetable gardens. 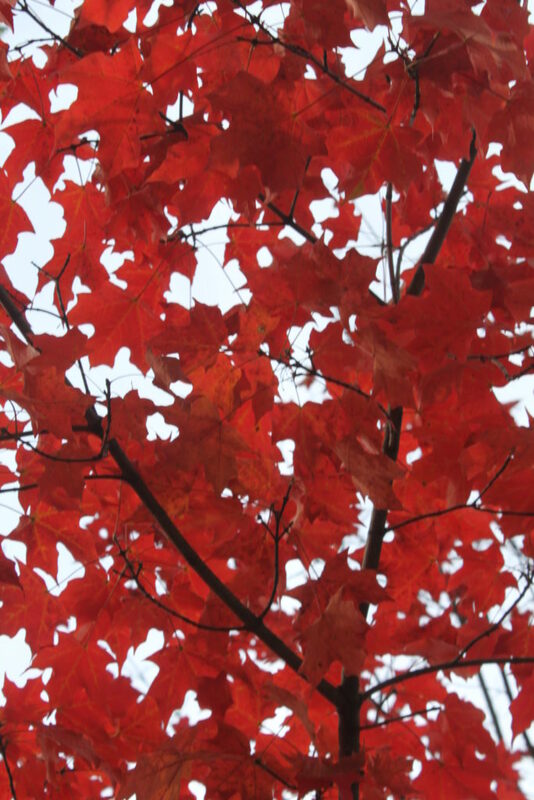 A good rule of thumb – if Oak leaves make up less than 10 to 20% of your total pile – you should be good to go. If you are not blessed with trees on your property – take a drive around and find neighborhoods that are – it usually doesn’t take too long to find them. 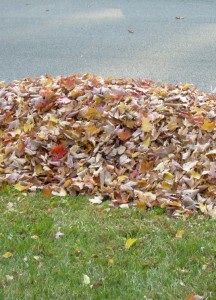 You don’t have to look far to find leaves piled high at the curbside. Many times, the hard work is done for you – with the homeowners already raking leaves to their curb or even bagging them up curbside for pickup. A simple asking of the homeowner can usually net you more than you can handle. For us – a simple evening drive through our heavily wooded neighborhood can fill the old farm truck up with 50 or so bags of ready to go leaves. 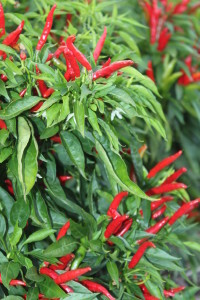 What takes a few minutes to collect will result in healthy plants. Even better – when you see those landscape companies out collecting – ask what they are doing with their haul – many times they are just taking them somewhere to dump – and will gladly drop them off at your house. It’s a win-win all the way around! 2. Shred – Shred – Shred! Like anything you put into a compost pile – leaves benefit greatly from being shredded first. 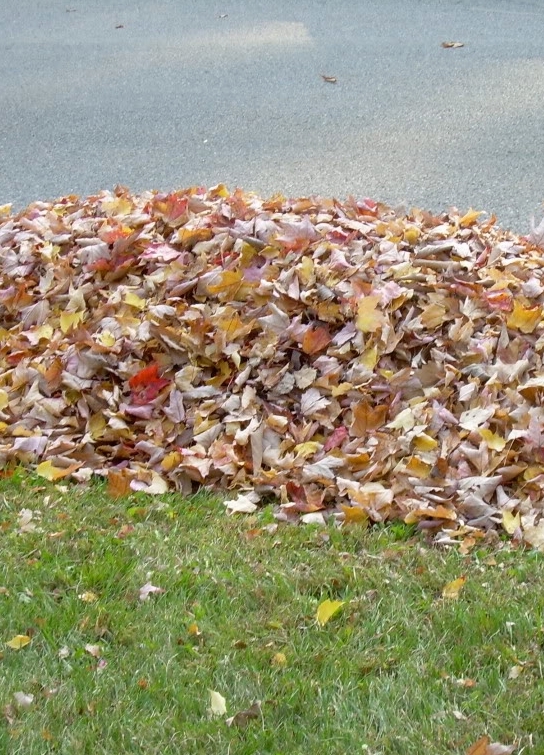 Whole leaves won’t compost quickly if left alone on the ground – and especially in piles where they can bind together and become a soggy matted mess. If you don’t own a shredder – no worries. 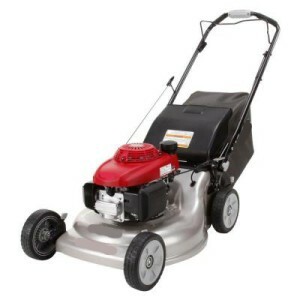 A regular old push mower or riding mower will do a great job of shredding your leaves into a fine chopped mix. We gather so many that we just pile them up and take care of business with a riding mower. In about 15 minutes, we can reduce 25 garbage bags of leaves into a couple wheelbarrow loads of shredded bits. However you do it – shred those leaves – the finer the better! 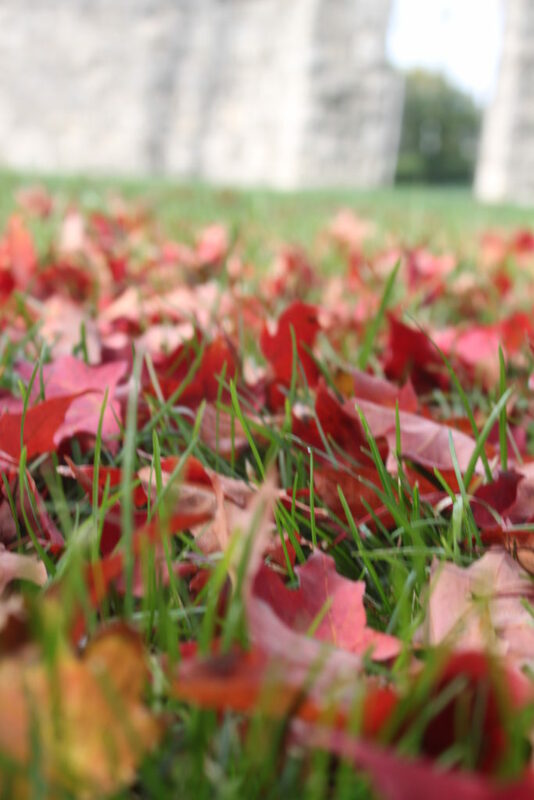 A pile of leaves left on their own – even if shredded – can still take over a year to break down. So to speed up the decomposition process – you need to add a source of Nitrogen to get your pile cooking. One easy remedy – freshly cut green grass. Fresh cut green grass is a great source of nitrogen and mixes easily with shredded leaves. Chicken, rabbit or horse manure also are great sources to get that pile of leaves heated up and cooking. If you have no access to grass or manure – you can always purchase a ready-made off the shelf compost activator – but good old natural green grass or manure works perfect for us. As for how much of each to add – just use another good rule of thumb – the 5 to 1 ratio. For every 5 wheelbarrows, buckets or bags of shredded leaves you add to the pile – mix in 1 wheelbarrow, bucket or bag of cut grass clippings or manure. Just like your regular compost pile – turning your leaf compost pile once or twice a week will help your pile heat up and break down quickly. If you don’t have compost bins or a large enough composting area – make a temporary one in the middle of your garden. It’s important to keep your pile together to allow it to heat up and decompose. An inexpensive 3 foot wire fence section, made into a circle. can become a perfect temporary composting bin for the winter time. The best part is that your making your compost right where you are going to need it – in your garden! 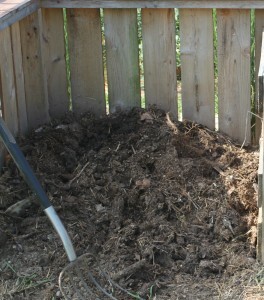 And while that pile is “cooking” – don’t be afraid to add some of your normal compost pile trimmings to it. Coffee grounds, fruit peels and scraps and grass clipping can be added while your turning to make your finished compost even better. Healthy Soil = Healthy Plants…and there is no quicker way to healthy soil than using lots of great compost. If you want that pile to get heated up and compost even quicker – go out a few times a week and take a shovel or pitchfork and turn your pile. 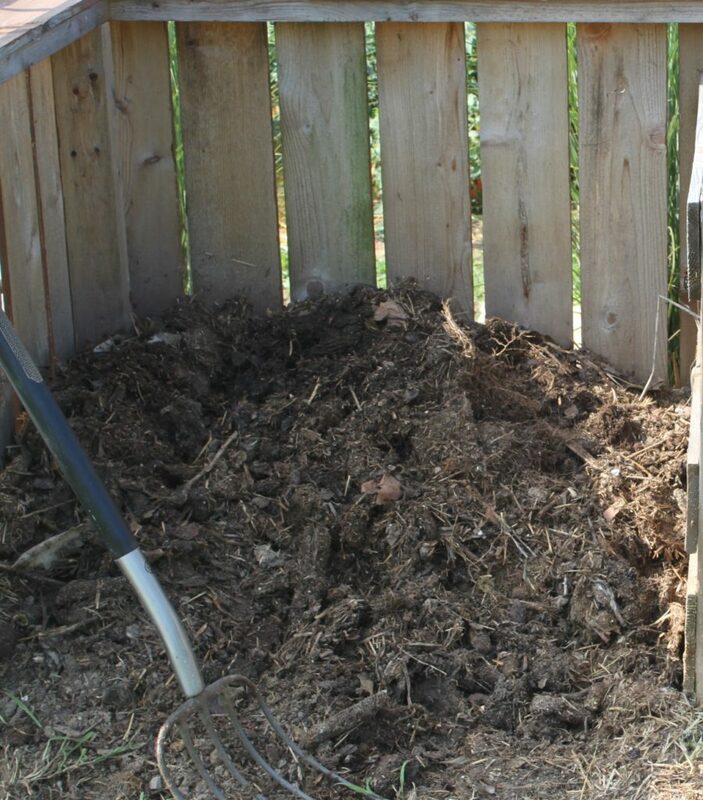 It doesn’t take great effort – especially with the light make-up of a leaf compost pile. However – turning that pile and mixing in oxygen gets it to heat up and break down quickly. Last, make sure to keep the pile moist. You want it to be like the consistency of a damp sponge – if you get too many consecutive dry days – add a little water to your pile to keep it cooking strong. So there you have it – some simple hints to composting all of those falling leaves. Now it’s time to get out there and start collecting! If you would like to receive our DIY & Gardening Tips every Tuesday – be sure to sign up to follow the blog via email in the right hand column, “like” us on Facebook, or follow us on Twitter. This post may contain affiliate links.